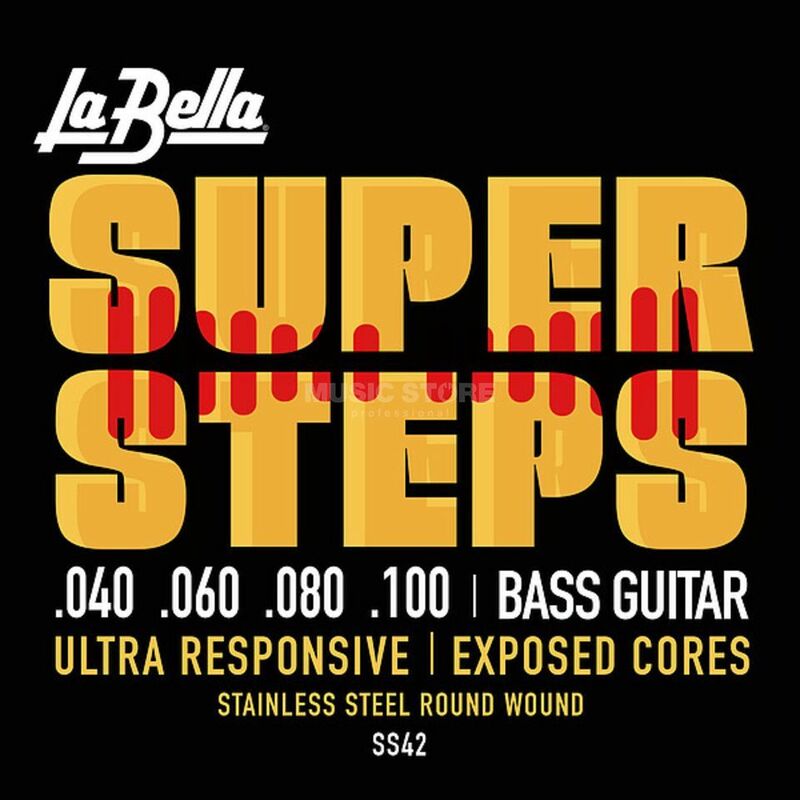 The La Bella Super Steps Bass Strings 40 – 100 are professional roundwound strings for electric bass guitar. These strings were developed with many world-renowned bassists to make strings perfect for soloists. They have an exposed core at the bridge which brings out the high overtone content of each note. The stainless steel wrap give the strings a super bright tone.